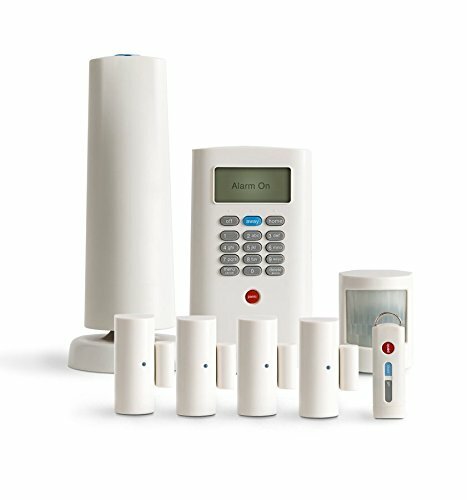 SimpliSafe is the best value wireless security system on the market: SimpliSafe is the ONLY fully featured alarm system that offers 24/7 alarm monitoring for just $14.99/month with no-contracts, and includes a FREE cellular link. THAT is an unbeatable value you won't find anywhere else. When you purchase an alarm with us, we'll pre-program all your sensors to work together instantly, right out of the box. You can install the sensors in your home and you'll be fully protected within 15 minutes (or less!). All systems are fully customizable, so you can start with the sensors listed in this package and add more of the sensors you need, whenever you want. Unlike other wireless alarms found on Amazon, SimpliSafe is reliable, secure, and offers the same quality protection you'd get with ADT or another behemoth security firm without the nasty contracts they'll bully you into signing. 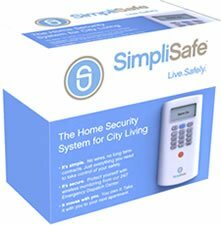 Try SimpliSafe to discover the better way to secure your home. This package includes: 1x Base Station: The brains of the alarm system. 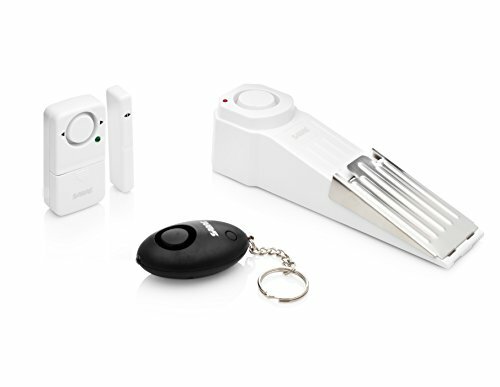 The Base Station contains the internal 85dB Wireless Alarm and is the central controller for the Alarm System 1x Keychain Remote: The Keychain Remotes can be used to arm and disarm your alarm system without the need to use your Keypad. You can arm and disarm the wireless security system from a distance up to 100 feet! 1x Keypad: The Keypad for your wireless alarm system allows you to arm and disarm the alarm using your 4 digit PIN number. You can also use the Keypad to add and remove your wireless sensors. 1x Entry Sensor: Our Entry Sensors are designed to keep you safe while you're at home or away. Install these sensors on your most vulnerable door and windows to ensure peace of mind. 1x Motion Sensor: Our Motion Sensors use temperature differences to detect burglars, even at night! Contact us if you would like to add additional components, such as: Panic Buttons: For immediate police dispatch 105dB Auxiliary Sirens: Extra ear-splitting deterrence! 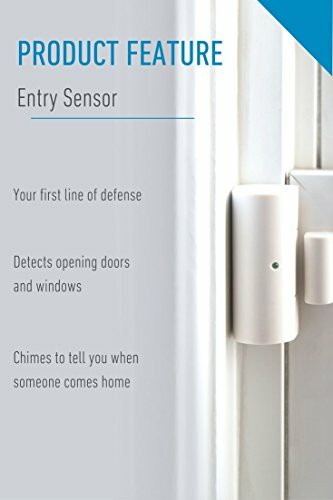 Simplisafe Extra Entry Sensor Entry Sensors protect doors and windows that may be accessible to intruders. When deciding how many you need, it helps to consider the following: How many of your windows and doors are on a ground floor? Ground floor entry points are typically the most vulnerable in a home and should usually be protected. How many windows and doors are accessible from a balcony, terrace, or fire escape? These entry points are generally less vulnerable than a ground floor window, but are another way intruders may enter a home. You should consider adding a sensor to these entrances. Will you have a Motion Sensor in the room? A Motion Sensor reduces the need for an Entry Sensor at every entry point. 3"X1.25"